4. Machida, K., Sasaki, H., Iijima, T. and Kikuchi, M. 2002. Chemical and Pharmaceutical Bulletin (Tokyo) 50: 10411044. 5. Kwak, W. J., Han, C. K., Chang, H. W., Kim, H. P., Kang, S. S. and Son, K. H. 2003. Chemical and Pharmaceutical Bulletin (Tokyo) 51: 333-335. 6. Son, K. H., Jung, K. Y., Chang, H. W., Kim, H. P. and Kang, S. S. 1994. Phytochemistry 35: 1005-1058. 7. Choi, C. W., Jung, H. A., Kang, S. S. and Choi, J. S. 2007. Archives of Pharmacal Research 30: 1-7. 8. Kumar, N., Singh, B., Bhandari, P., Gupta, A. P., Uniyal, S. K. and Kaul, V. K. 2005. Phytochemistry 66: 2740-2744. 9. Foster, S. and Hobbs, C. 2002. A Field Guide to Western Medicinal Plants and Herbs. Houghton Mifflin Company: New York. 10. Wee, Y. C. and Hsuan, K. 1990. An illustrated Dictionary of Chinese Medicinal Herbs. Times Edition and Eu Yan Seng Holdings Ltd: Singapore. 11. Wong-Leung, Y. L. 1981. Xianggang Qinhui Xueyuan Xue Bao 8: 115-124. 2002. Tap Chi Hoa Hoc 40: 103-107. 13. Yip, E. C., Chan, A. S., Pang, H., Tam, Y. K. and Wong, Y. H. 2006. Cell Biology and Toxicology 22: 293-302. Erratum in: Cell Biology and Toxicology 2007, 23: 139. C. H. and Lee, H. Z. 2006. European Journal of Pharmacology 534: 12-18. 15. Leung, H. W., Wu, C. H., Lin, C. H. and Lee, H. Z. 2005. European Journal of Pharmacology 508: 77-83. 16. Lee, H. K. and Chung, Y. S. 1963. Kisul Yon'guso Pogo 2: 76-78. 17. Cheng, J. T., Lee, Y. Y., Hsu, F. L., Chang, W. and Niu, C. S. 1994. Chinese Pharmaceutical Journal (Taipei, Taiwan) 46: 575-582. 2003. Clinica Chimica Acta 330: 165-171. 19. Kwak, W. J., Han, C. K., Chang, H. W., Kim, H. P., Kang, S. S. and Son, K. H. 2003. Chemical and Pharmaceutical Bulletin (Tokyo) 51: 333-335. 20. Lee, S. J., Son, K. H., Chang, H. W., Kang, S. S. and Kim, H. P. 1998. Phytotherapy Research 12: 445-447. 21. Xu, Y., Oliverson, B. G. and Simmons, D. L. 2007. Journal of Ethnopharmacology 111: 667-670. 22. Son, M. J., Moon, T. C., Lee, E. K., Son, K. H., Kim, H. P., Kang, S. S., Son, J. K., Lee, S. H. and Chang, H. W. 2006. Archives of Pharmacal Research 29: 282-286. 23. Suh, S. J., Chung, T. W., Son, M. J., Kim, S. H., Moon, T. C., Son, K. H., Kim, H. P., Chang, H. W. and Kim, C. H. 2006. Archives of Biochemistry and Biophysics 447: 136-146. B. S. and Schuller-Levis, G. 2005. American Journal of Chinese Medicine 33: 415-424. 25. Kim, J. A., Kim, D. K., Kang, O. H., Choi, Y. A., Park, H. J., Choi, S. C., Kim, T. H., Yun, K. J., Nah, Y. H. and Lee, Y. M. 2005. International Immunopharmacology 5: 209-217. 26. Chang, W. C. and Hsu, F. L. 1992. 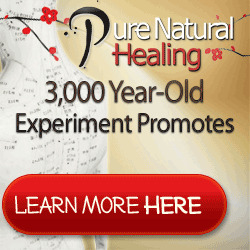 Prosta-glandins, Leukotrienes and Essential Fatty Acids 45: 307-312. 27. Chang, C. W., Lin, M. T., Lee, S. S., Liu, K. C., Hsu, F. L. and Lin, J. Y. 1995. Antiviral Research 27: 367-374. 28. Jeong, C. S., Suh, I. O., Hyun, J. E. and Lee, E. B. 2003. Natural Product Sciences 9: 87-90. C. H. 2006. Journal of Cellular Biochemistry 99: 1298-1307. 30. Duke, J. A. and Ayensu, E. S. 1985. Medicinal Plants of China, volume one and two. Reference Publications, Inc.: United States of America. 31. Duke, J. A., Bogenschutz-Godwin, M. J., duCellier, J. and Duke, P. A. K. 2002. Handbook of medicinal herbs. CRC Press: Boca Raton, FL. 32. Nguyen, V. D. and Doan, T. N. 1989. Medicinal Plants in Vietnam. World Health Organisation, Regional Office for the Western Pacific, Manila, Institute of Materia Medica, Hanoi. 33. Pharmacopoeia of the People's Republic of China, volume 1. English Edition, 2000. 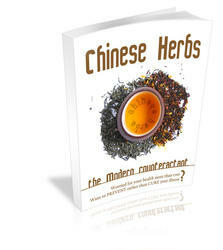 Compiled by the State Pharmacopoeia Commission of People's Republic of China. Chemical Industry Press: Beijing. 35. Thanabhorn, S., Jaijoy, K., Thamaree, S., Ingkaninan, K. and Panthong, A. 2006. Journal of Ethnopharmacology 107: 370-373.